Über uns - barbershopgleisdorfs Webseite! Mat´s True Fellas Barbershop is a men-only barbershop located in Gleisdorf. Mat´s intention is to bring back the classic, old school, authentic and masculine barbershop where a guy can feel at home. Mat doesn´t care about fashion or trends, he loves the rock´n´roll subculture and that´s why he specialized on classic cuts, such as flattops or pompadours. His barbering is always about style and perfecting men´s beards and haircuts. Mat opened his doors in 04/2014 with big help of his friend and business partner Andy Reisinger, who is the owner of legendary ‚True Fellas Tattoo‘. 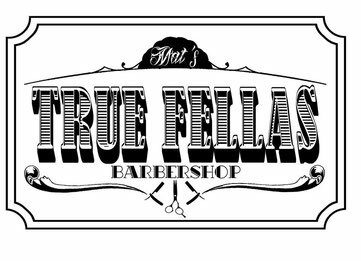 If you are in need of an awesome new tattoo, a piercing or a traditional haircut and shaving, ‚True Fellas Tattoo‘ and ‚Mat´s True Fellas Barbershop‘ is just the right location for you. Find us at Hartbergerstraße 3, A – 8200 Gleisdorf.